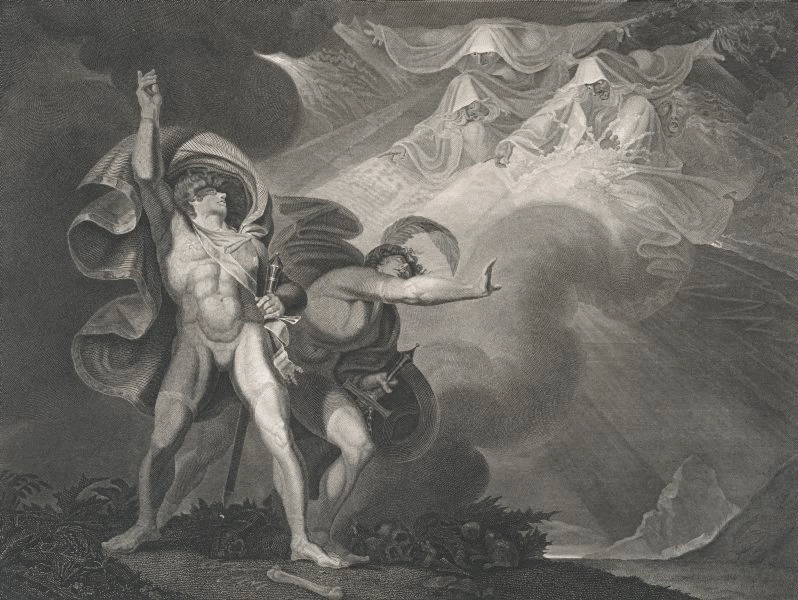 In 1786 Fuseli was commissioned by John Boydell to paint a series of pictures representing scenes from Shakespeare’s plays. The finished paintings were unveiled in 1789 at Boydell’s Shakespeare Gallery in Pall Mall. Boydell later employed engravers to reproduce the paintings. Fuseli was particularly attracted to Shakespeare’s treatment of fantastic and supernatural themes which provided the inspiration for such exuberant creations as this illustration of Macbeth’s first encounter with the three weird sisters on the blasted heath. The Boydell Shakespeare prints , 1979, (illus. ).